dos marias: let there be lunch. making something out of nothing. that's what we did today for lunch. we whipped up this recipe using all the random ingredients we could find! chop pineapple, red onion, and green chile pepper. mix together and add lime juice. to make chipotle creama, mix sour cream with chipotle pepper and hot sauce. (use adobo sauce instead if you have it!) grill fish until white and flaky. remove from grill and immediately top with lime juice. grill tortilla and plate. 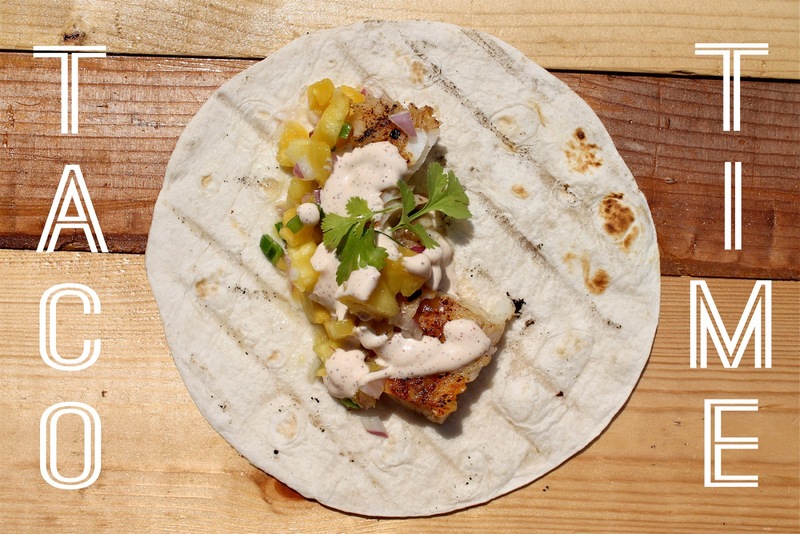 top with fish, pineapple salsa, and chipotle creama. love tacos as much as us?